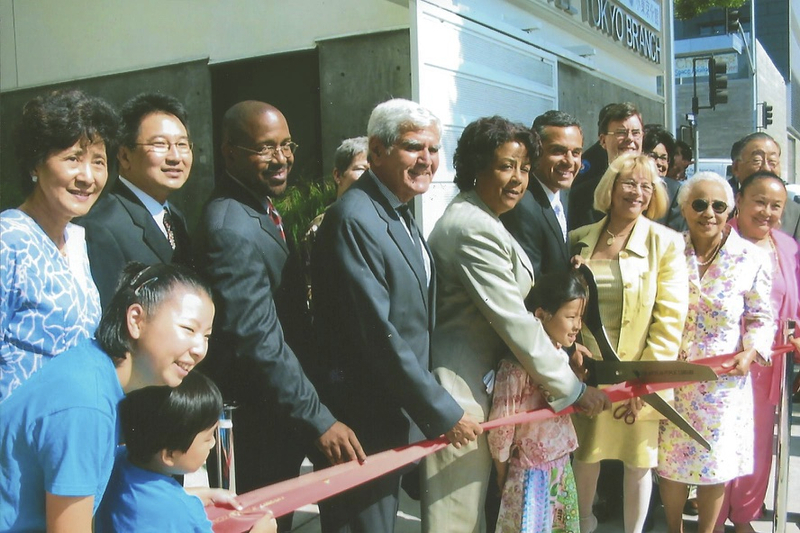 It has been 10 years since the Little Tokyo Branch of the Los Angeles Public Library opened its doors on Sept. 8, 2005. A celebration of the anniversary was held Sept. 12 at the branch, located on Los Angeles and Second streets. 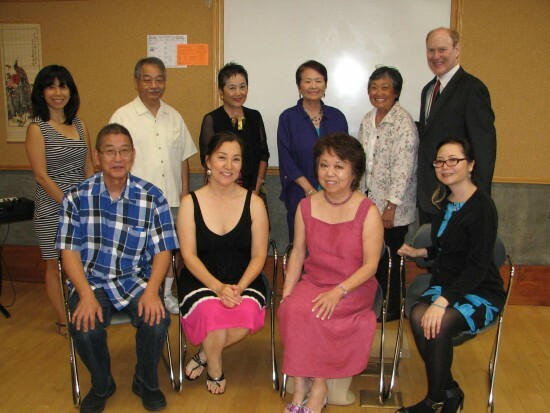 Senior Librarian Jim Sherod and Friends of Little Tokyo Branch Library President Juliet Wong discussed the library’s history, which began long before 2005, and presented a slide show. Volunteers who have been with the library since the beginning shared their remembrances. The program included Japanese and American songs performed by vocalist Keiko Kawashima and keyboardist Scott Nagatani of the Grateful Crane Ensemble. “The construction of the Little Tokyo Branch Library 10 years ago was largely due to the Friends of Little Tokyo Library, who were determined to provide materials in Japanese to the people of their community and Southern California,” said Sherod. “The demand for books in Japanese was obvious as people were coming from as far as Las Vegas and San Diego in the late 1970s to check out materials from a bookmobile. “The need was partially met as the Little Tokyo Branch was opened as an experimental branch in 1989 in space graciously made available by the Centenary United Methodist Church. The branch’s popularity encouraged the Los Angeles Public Library to move forward with a 10-year commitment for a lease in the Neptune Building at Alameda and Third streets [current home of The Rafu Shimpo]. “The Friends group mustered the support of city councilmembers, the mayor, and the Los Angeles Public Library, which wisely foresaw that this branch would become a major focal point for the Little Tokyo community. The passage of Proposition DD, a branch construction bond, provided funds to build, rebuild and expand 36 branch libraries, including the construction of a permanent 12,500-square-foot facility for the Little Tokyo Branch. “Now at the threshold of major developments in the surrounding neighborhood, the Little Tokyo Branch Library continues to adapt, promoting Japanese literature and culture as well as serving the diverse community of residential and business people who live and work in this urban setting. 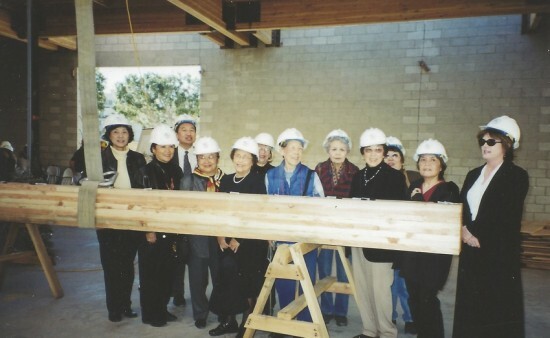 Signing a beam during construction of the library were (from left) Cathy Chang (former senior librarian), Friends board members Janet Minami (first vice president and former president), Larry Kuromiya (president and former treasurer), Geri Witt (vice president of Board of Library Commissioners), Rita Walters (Board of Library Commissioners and former city councilmember), Fontayne Holmes (city librarian), Friends board members Sue Kunitomi Embrey, Michiko McKnight, Tomi Yonemoto (founder and former president), Candy Arai (former treasurer), Irene Murashige (second vice president and former president), and Los Angeles Public Library staff. The new building featured more than double the space of the previous location, with areas for children, teens and adults, as well as a multipurpose meeting room and computer workstations. CWA AIA Inc. and A.J. Lumsden & Associates designed the new facility, which through its architecture and materials reflects traditional aspects of Japanese buildings. The past, present and future of the Japanese American community were the subject of works created by two artists: Nancy Uyemura’s two canvasses titled “God’s Promise” and “Whisper in the Wind” and Jacki Apple’s series of 21 laminated marble squares with photographic images and a banner featuring a poem in English and Japanese. Speakers at the opening ceremony included City Librarian Fontayne Holmes, Rev. George Nishikawa, Mayor Antonio Villaraigosa, City Councilmember Jan Perry, Board of Library Commissioners President Robert Chick, City Engineer Gary Lee Moore, and Friends President Larry Kuromiya. They also thanked the past head librarians — Susan Thompson, Cathy Chang, Hitoshi Ohta — and bookmobile librarian Yoshiko Solomon for their leadership. In an update on parking, Sherod said that due to the construction of apartments next to the library, a 29-space lot for the exclusive use of library patrons and staff has been established two lots south of the library on Los Angeles Street. Around March 2017, there will be 10 spots for library staff and two handicapped spots in the underground parking of the new eight-story apartment building, and an additional 28 spots will be provided for library patrons by valet parking. Once completed, the Budokan of Los Angeles will have 28 parking spots for the library, Sherod said. Library hours are 10 a.m. to 8 p.m. Monday; 12 to 8 p.m. Tuesday; 10 a.m. to 8 p.m. Wednesday; 12 to 8 p.m. Thursday; 9:30 a.m. to 5:30 p.m. Friday; and 9:30 a.m. to 5:30 p.m. Saturday. The address is 203 S. Los Angeles St. For more information, call (213) 612-0525 or visit www.lapl.org/branches/little-tokyo. Participants in the ribbon-cutting in 2005 included Cathy Chang (former senior librarian), Larry Kuromiya (Friends president and former treasurer), Los Angeles Public Library Commission members, City Councilmember Jan Perry, Mayor Antonio Villaraigosa, City Engineer Gary Lee Moore, City Librarian Fontayne Holmes, and Board of Library Commission members Rita Walters (former city councilmember) and Geri Witt.